We are the makers of MyMerryChristmas.com, a little effort that began quite by accident way back in 1991. Since those pre-Internet days we have engaged in an ongoing conversation about Christmas with the world at large. At first it was done by fax, then by email and now we operate a network of Christmas-related websites interacting with Christmas enthusiasts worldwide. 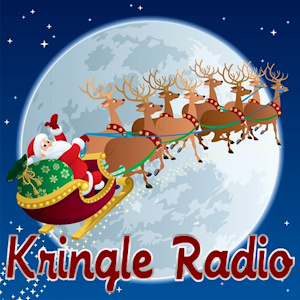 The Merry Podcast began as a part of our first venture into Christmas Radio back in 2006. 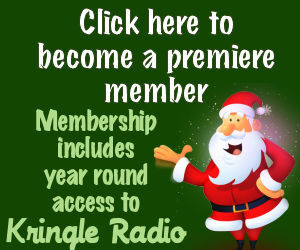 Then, this year, we split the Merry Podcast into two productions. Why two podcasts? It’s complicated. Click here if you really want to know. This site houses the Merry Little Podcast. Each episode is roughly ten minutes or so of great Christmas fun. We explore history, culture, music, movies, scripture, and even the controversies all related to Christmas. Each episode is a snippet of the kind of stuff you find on the fuller episodes of The Merry Podcast. 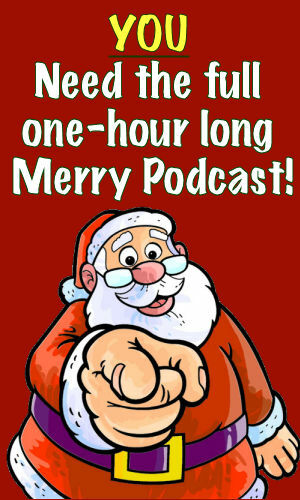 It you like Christmas in smaller bites then the Merry Little Podcast is just for you.